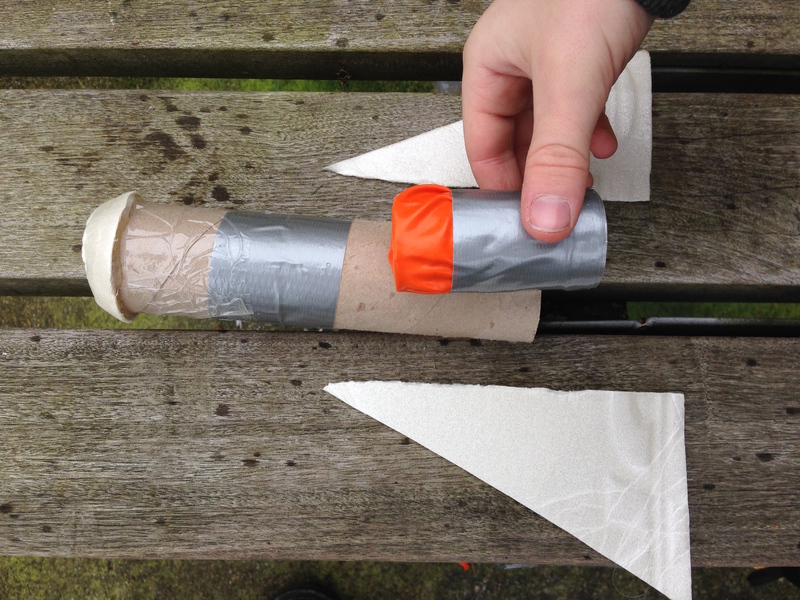 Make a powerful shooter of foil balls, or coins, from a toilet roll and a balloon. Convert to a rocket launcher. Cut the neck off the balloon and fit it over the end of the toilet roll, leaving a pocket hanging. Tape securely all around with duct tape. Drop the ammunition down the tube. Grab the balloon pocket along with the ammunition. Pull the balloon back, aim well, and let go. Coins project fast out of this device, so only use with students that can be monitored closely, and who can obey rules around which way to fire and where to stand. Foil balls still move pretty fast, but are not as dangerous. The balloon stores elastic energy as it is pulled back. As it is released it converts this energy to kinetic energy which pushes the ammunition forward. Air resistance eventually slows the ammo down, and gravity pulls it to the ground. 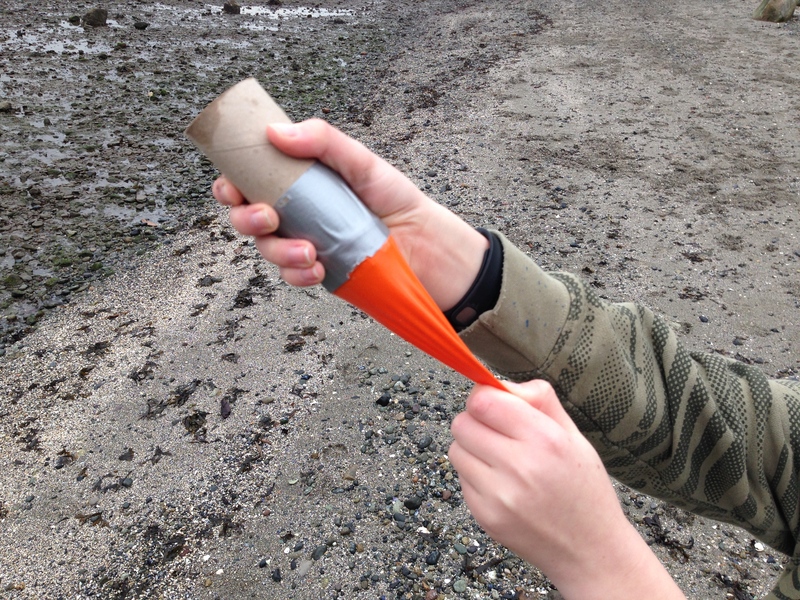 Tape the balloon to a stiffer tube, and secure inside a long tube. 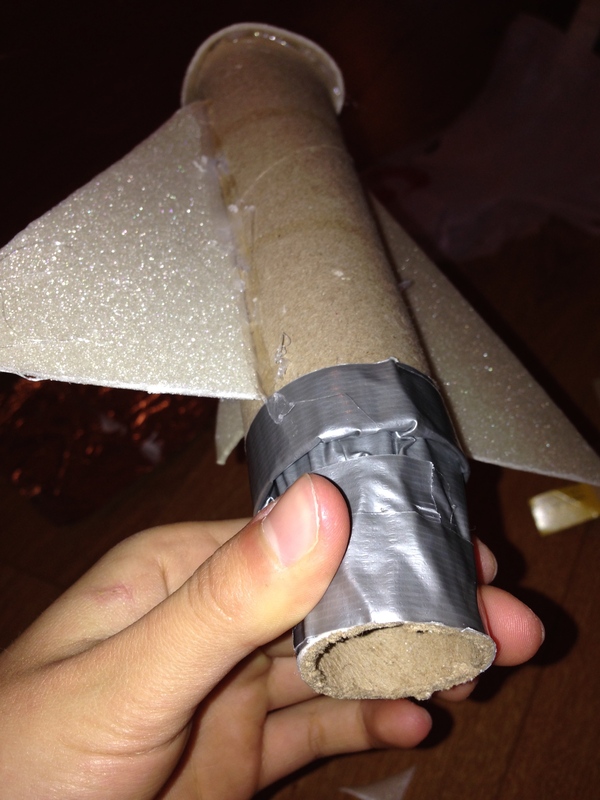 Add fins and a streamlined nose to the long tube. 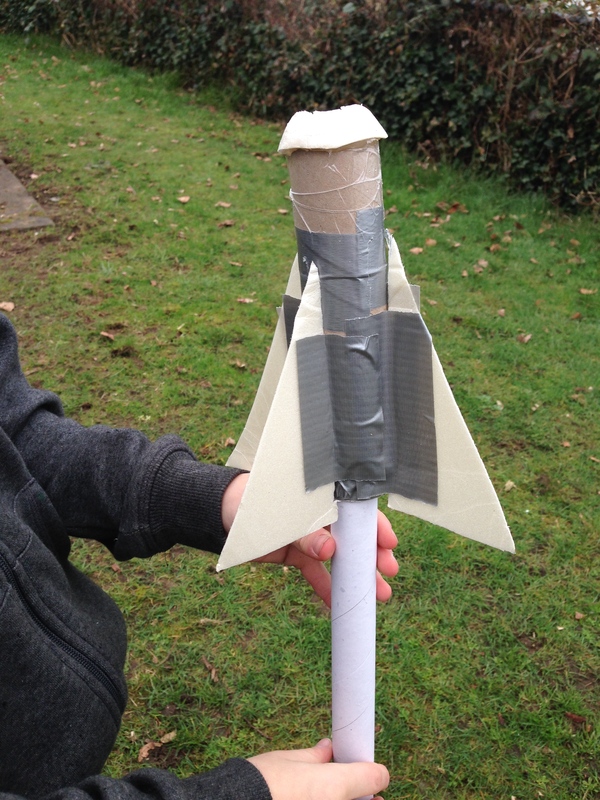 Place the rocket over another long, stiff tube. Pull back the rocket so that the balloons is stretched. Release.